Roger Dale “Butch” Cupp, 69, of Spring, Texas passed away on Sunday, November 4, 2018 He was born on Tuesday, July 3, 1951 in Houston, Texas to Jeffie David Cupp and Vera (Staggs) Cupp, both of whom have preceded him in death. Roger was also preceded in death by his loving wife of 38 years, Patricia Cupp. Left to cherish his memory is his loving son, William Cupp & wife Annie; daughter, Bessie Brittingham & husband “Big Jim”, daughter, Susan Cupp; brother , Freddy Dison; sister , Yvonne Warren; six grandchildren, William, Miranda, Joshua, Tristan, Madison, “Cush”; along with numerous other loving family and treasured friends. Visitation for Roger will be held at Neal Funeral Home on Sunday November 11, 2018 from 3:00 pm to 6:00 pm. 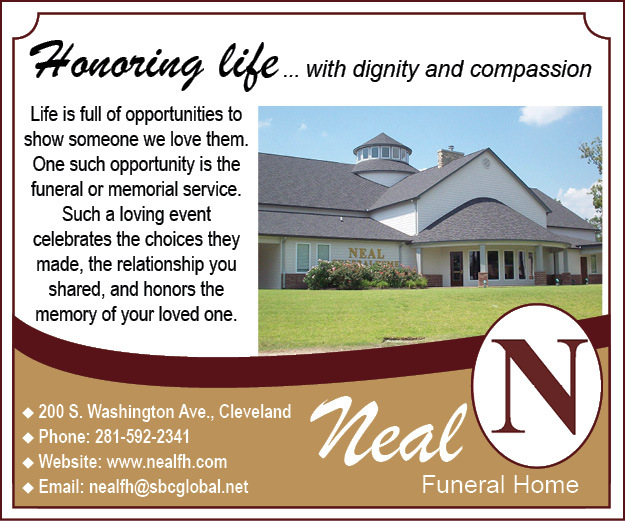 Funeral Services for will be held at Neal Funeral Home on Monday November 12, 2018, at 10:00am. Interment for Roger will immediately follow at Brookside Memorial Park. Officiating Rev. Brad Dancer. Previous articleJimmy Deward Stephens, Sr.